In the last 3 years, Gamaification became a hot buzzword among companies and organizations. Gamification is the process of adding motivational elements within a system to increase user engagement based upon sound game theory and game mechanics. 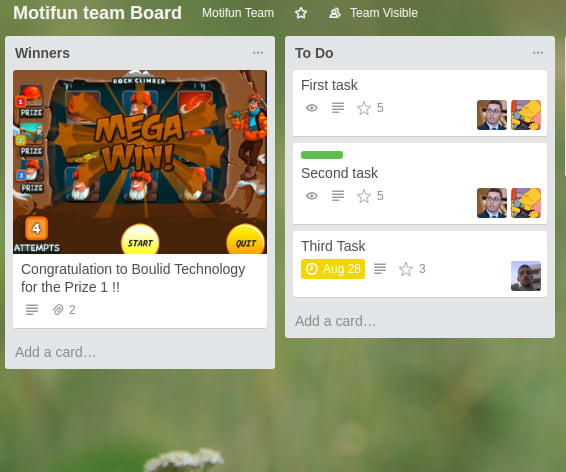 MotiFun is a power up that integrates the concept of Gamification into the work space of Trello. 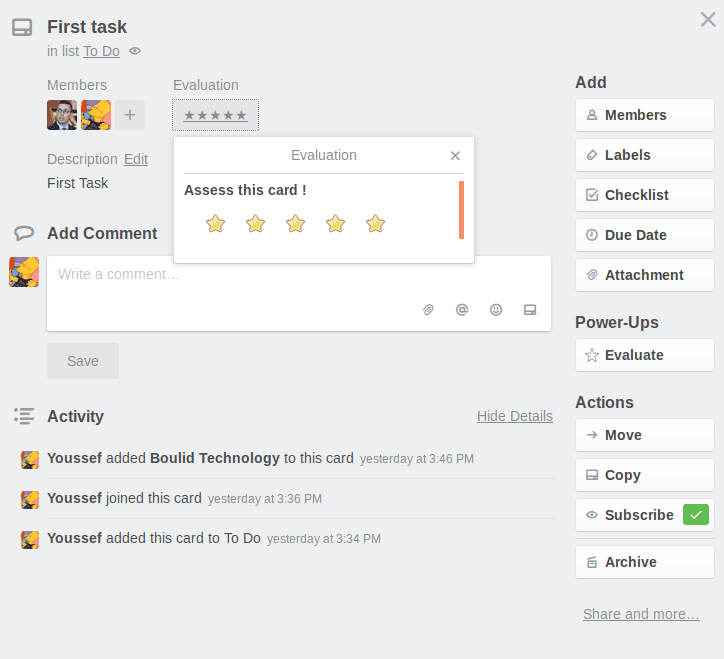 Motifun allows the assessment tasks (a card in Trello terminology) in order to assign them points . 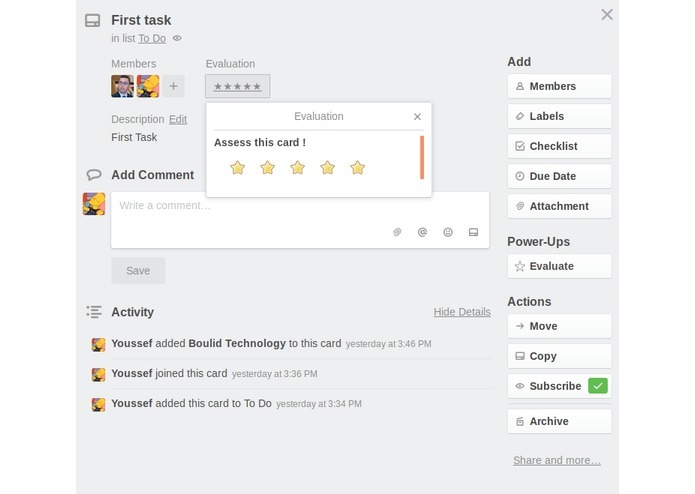 When a task is completed the member then earns the points assigned to that task within a given project (board). The earned points are reflected as scores in the game. We have chosen a slot machine as a game where each member, based on the earned points, can choose the prizes she or he desires to put a wager on. there a predefined number of attempts the user can have each day. 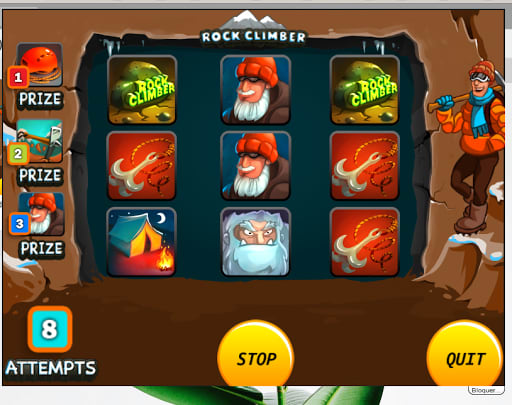 We built this power up using NodeJS and Unity 3D for the slot machine game. The challenge was in the stage of the integration. The game we created is hosted a server and may take few moment to launch. The integration a game in Trello space allowing member to play during free time, or breaks to get them recharged and motivated by giving a chance to win real prizes. because of the competitive aspect of Motifun, employees or collaborator would work harder to accomplish tasks in a in order to earn points. point that can be used to win real prizes. 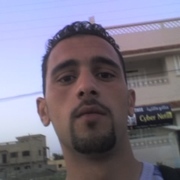 before time and with better quality to gain more points. Users will want to work faster because the prizes for each project are limited, and the first to finish work will be the first to have a chance on wining. Trying new things on Trello Power up. 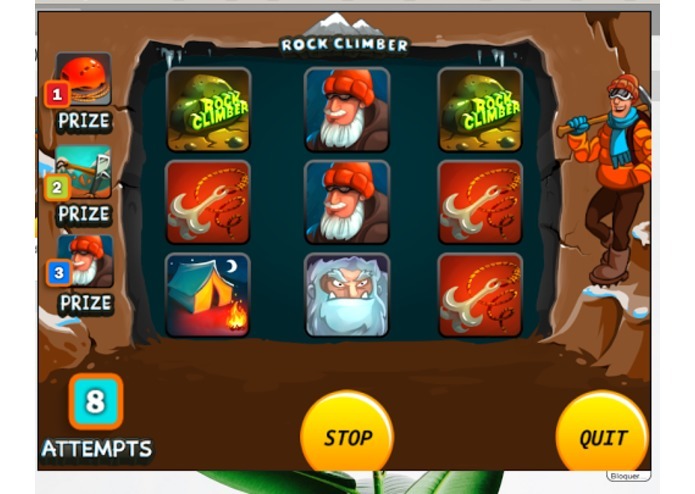 In this phase, the game we have proposed is a slot machine, but the concept still valid for other kind of games. 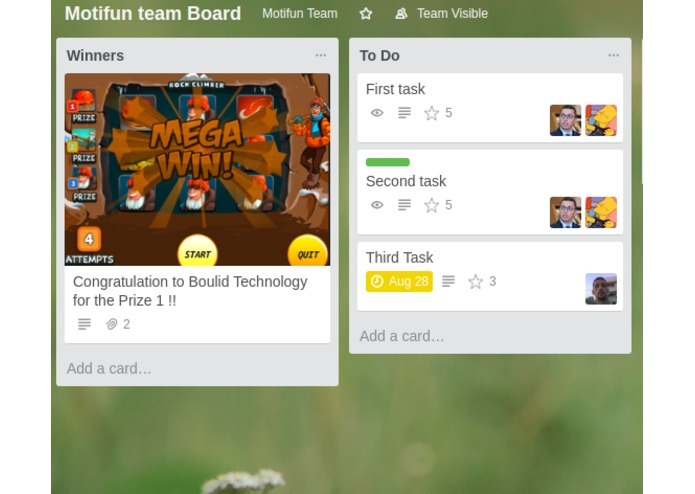 MotiFun aims to give Trello users a competitive environment to earn tangible prizes. The motivation can indirectly improve the productivity in the work place. This is accomplished by combining the fun element and the serious element in an engaging and motivating environment. 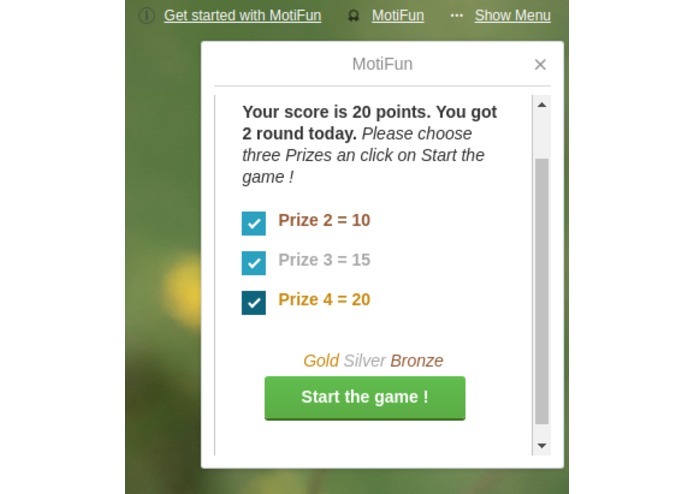 MotiFun is based on two concepts; work to earn points and play to win prizes. 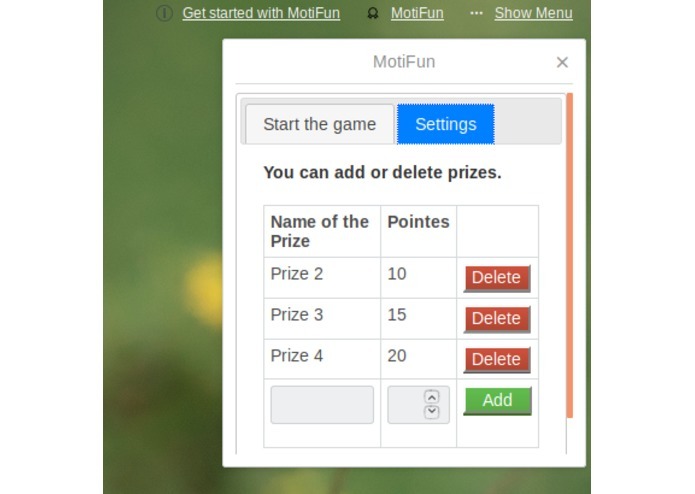 For this MotiFun need a a super user to assess card and propose and offer real prizes. The board is considered a project, the board administrator is the project manager and members are considered collaborators. The board administrator can asses cards by giving points (from 1 to 5) and members delegated to this card receives the equivalent points. For each board, the prizes are created by the board administrator (settings) by given each one the required points (ex: prize 1 needs 30 points to gamble on). Only board members that have points greater or equal to the prize points can choose it and try to win it. To start the game, the member must choose at least three prizes to gamble on (this is to give them a chance to win one of them). If he wins a prize, this latter is deleted from list of prizes. The chosen prizes are color-coded as Gold, Sliver or Bronze according to the their points (First, Second and Third). For the moment MotiFun offer a slot machine game with two rounds daily and nine attempts, in the future, more games can be integrated to gives members more choices. After starting the game for the first time, it may take a few seconds. Please be sure that the Unity Web player Plug-in https://unity3d.com/webplayer/ is installed and the browser is compatible. 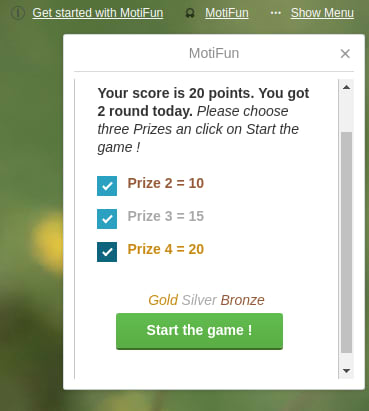 By clicking on the start button the game randomly change the prizes until the stop button is clicked. The quit button closes the game. The condition to win is to have at least one from the three prizes of the same type aligned in the same row. If a member win a prize a Card is created in a list called ‘winners’ that show information about the member and the prize he has won. Working on Trello power up side. 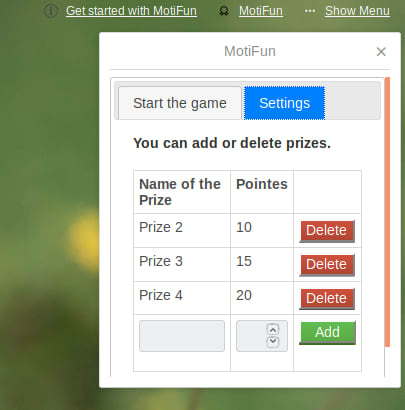 Adding a detailed description and the json file for the Motifun power up. 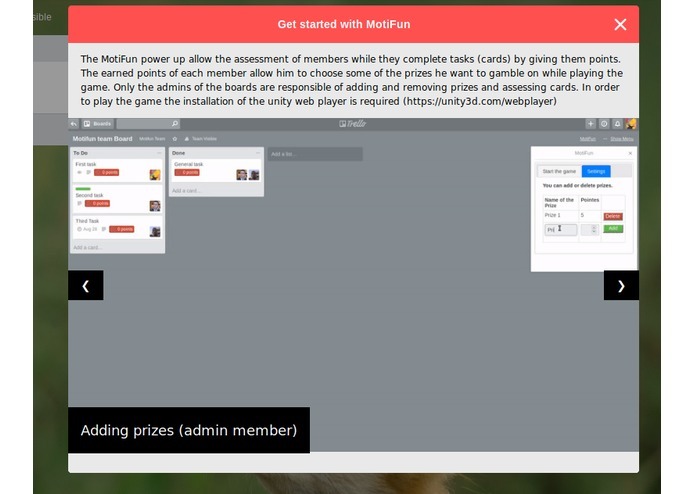 Uploading a second video that explain the added features and a demo on how the MotiFun power up works (https://www.youtube.com/watch?v=1dK1sMOcZ6g). Uploading a video that explain our contribution.